Welcome to Waste Industries' Ecokids USA site. At Waste Industries we are the leading provider of safe, clean, and environmentally sound waste collection and removal services. We are a part of everyday life in the communities we serve and are committed to improving those communities by educating our kids, customers, employees, and the public. Our Ecokids site provides information, activities, and links we believe are especially helpful to kids. Please enjoy our games, pictures, coloring activities, stories, and kids' club membership. Ecokids USA now avaliable in English and Spanish! Welcome Maya, the newest member of the Ecokids! 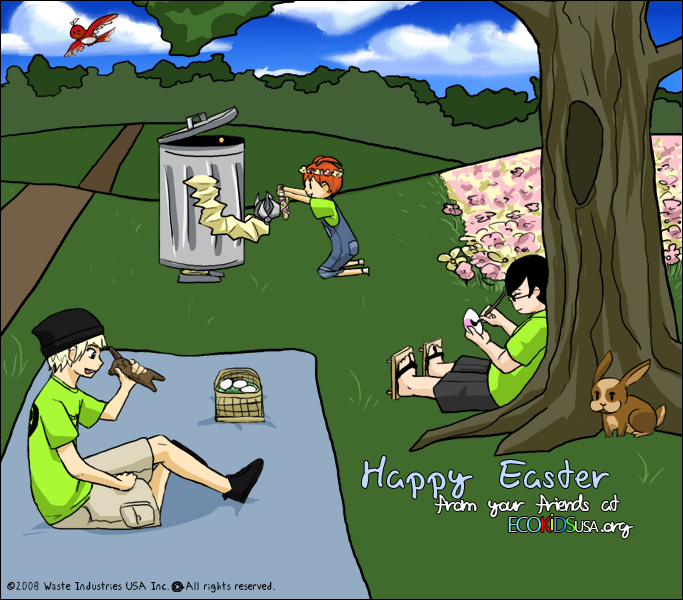 Click here for a special Easter greeting from the Ecokids! 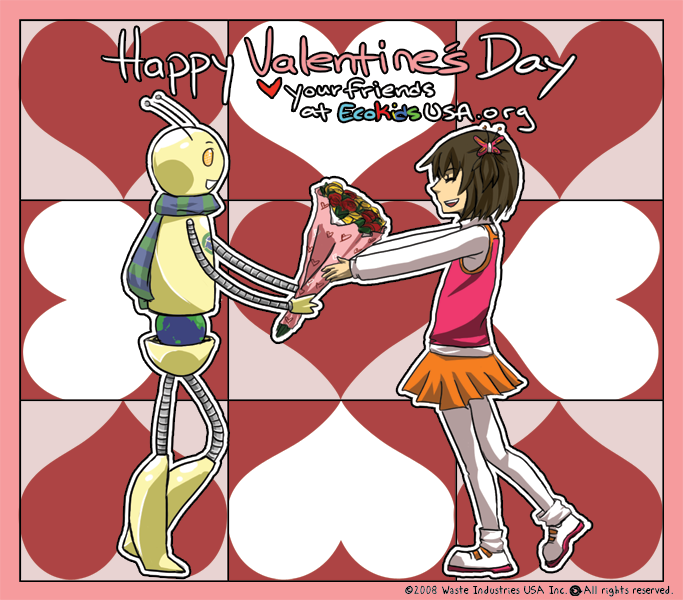 Click here for a special Valentine's Day greeting from the Ecokids! Take a peek at the Activities section to see new links and crafts. Find your way around EcoKids by using the navigation bar to the left! At the "Info Bin" there's tons of neat facts to teach you what being one of the Ecokids is all about. The "Trash Talk" section has cool stories and comics to teach you about the environment. The "Ecokids" section is filled with pictures and information about the characters you see all around the site. The "Activities" section is filled with games and crafts to keep you busy for hours. Clicking "Corporate" will open up our corporate Waste Industries webpage in a new window. So follow the leader and have fun!